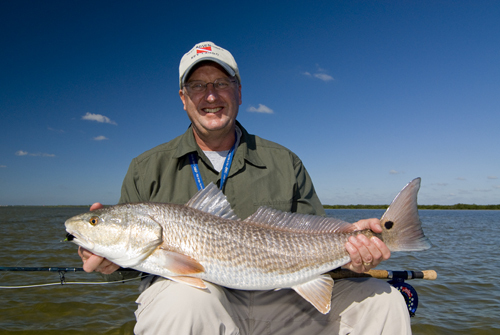 Redfish Tampa Bay Fly Fishing Guide Sarasota St. Petersburg | Barbed Steel Charters, Inc.
Redfish are plentiful throughout the year and offer fly anglers a great challenge to test their skills. 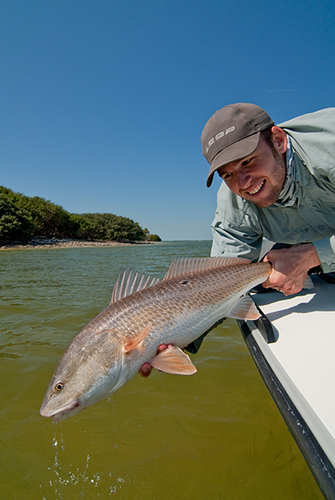 In the fall, redfish start to gather in large schools in preparation for their spawn. These schools push across the flats on the incoming tide in search of tasty treats buried in the grass. Watching an entire school tail on a flat is a sight to behold and will cause legs to quiver and hearts to beat in overdrive. Gather your composure and take a deep breath before you start casting, relax and form nice loops, drop your fly just in front of the fish, get tight to the fly, strip very slowly, “THUMP”, strip strike and your on! 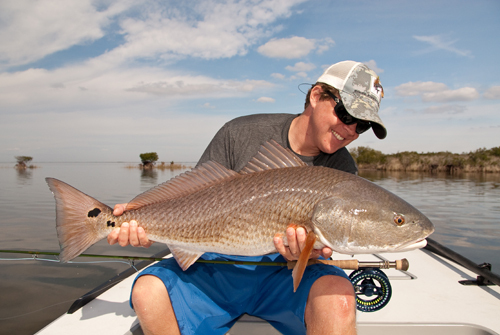 Redfish are a favorite species to target while sight fishing with a fly in the shallows of west central Florida. Late fall to early spring is a favorite time of year to do this. At this time of year, we get extremely low tides and clear water which equals one thing; ultra skinny cruising and tailing redfish. These fish are extremely challenging to fool on the fly. 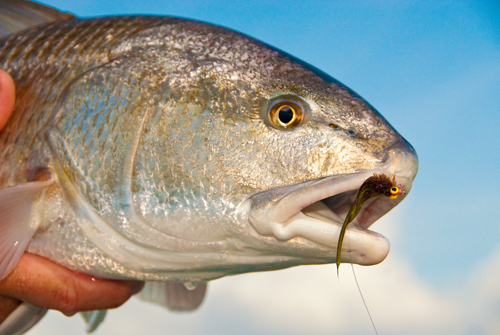 The water is typically very clear which allows the redfish to see much more above and below the water. Delicate, pinpoint presentations help tremendously. 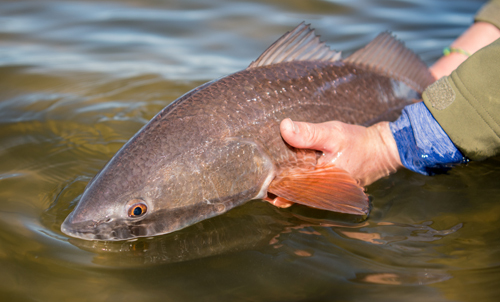 Watching a redfish acquire, track, and then take your fly in these conditions is an exhilarating experience not soon forgotten.